DNS routing translates a domain name (example.com) to an IP address (18.28.0.35). co.uk is the Top Level Domain, casouri is the secondary domain (which I bought from gandi.net), archive is the sub domain (which I can create as many as I want). Most of the Top Level Domains isn't made of two separate parts like co.uk, I have no idea why British made their country TLD like that. This not only is a valid domain, but also a better (more concise) format than the one without the dot in the end. The ending dot is like the root directory /, it marks the root of the domain. And a domain with that dot in the end is considered absolute, just like an absolute path. Similarly, a domain without an ending dot is considered relative. So I can totally add something after it like archive.casouri.co.uk.what.is.this.com, just like what I can do to a relative path. 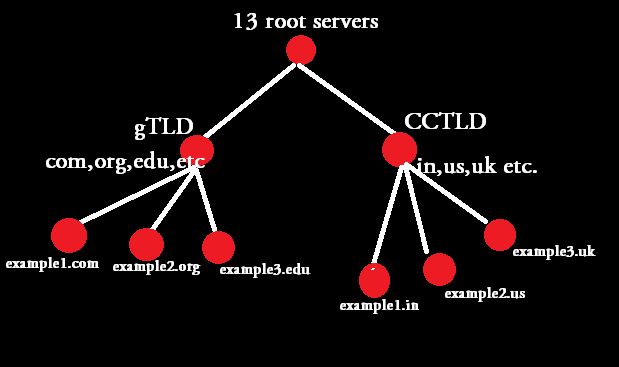 DNS resource records are basically mapping files that tell the DNS server which IP address each domain is associated with. An A record maps a domain name (e.g., www.example.com) to an IP address and usually starts with www. A Canonical Name (CNAME) is a type of record in the DNS that is used to specify that a domain name is an alias for another domain or sub domain. I used a CNAME record to link archive.casouri.co.uk. to casouri.github.io. A mail exchanger (MX) record refers to a resource record (RR) that routes traffic to an email server. More on https://en.wikipedia.org/wiki/MX_record. A text record (TXT record) is a type of resource record in the DNS that lets you associate plain text with a domain. A DNS zone represents a range of IP addresses in a domain name space. A domain provider, or domain name registrar, is a company or organization that manages the assignment of domain names. For me it's gandi.net. The server that translates domains into IP addresses. A text file describes mapping between domain and IP.